Brand new stable doors are a perfect choice if you want to make a unique design statement. Unlike any other product available on the market, their innovative design allows the top and bottom panels to operate independently. From an aesthetic point of view, they are stunning and, monetarily, will add immediate value to your Essex home. On the basis of their design alone, stable doors are a prudent investment. 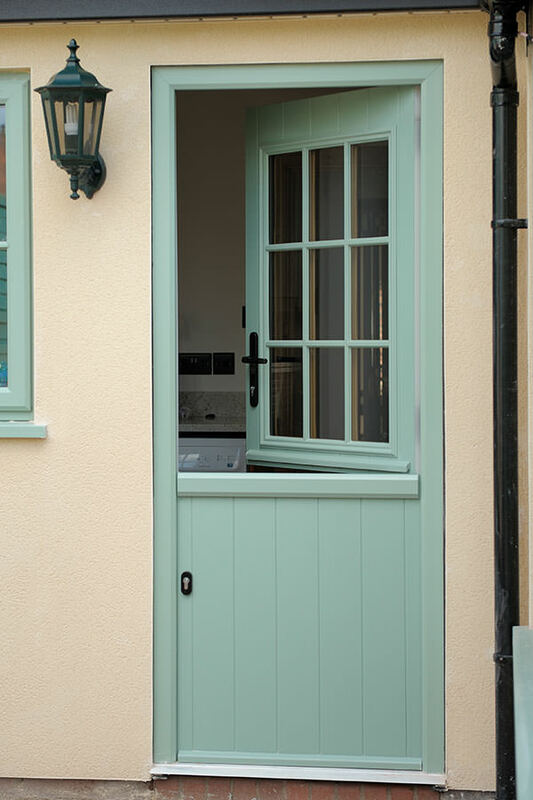 If you are about to sell – or are thinking of selling – a home in Essex, you will noticeably increase its kerb appeal by investing in brand new stable doors. Practical and stylish, they are the perfect choice for homeowners seeking new ways to enliven the rear section of their property. We can tailor the construction of your stable door product to meet your exact requirements for your home in Chigwell, Loughton, Wanstead, Romford, Woodford or surround Essex areas. Whether you prefer an outward- or inward- opening configuration, we’ll be able to modify the design so that it suits your practical preferences. Our installers are highly trained and specialise in installing stable doors for customers in Chigwell and its surrounding environs. 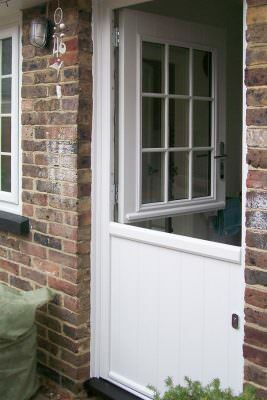 All the stable doors we install for our customers in Essex are backed by solid ten-year manufacturers’ guarantees. You can rely on our range of strong and weatherproof products to resist the rain, wind and snow and withstand attacks by would-be intruders attempting to gain access to your property – and at a locally competitive prices you’ll be able to afford. Solid or uPVC Composite Doors? 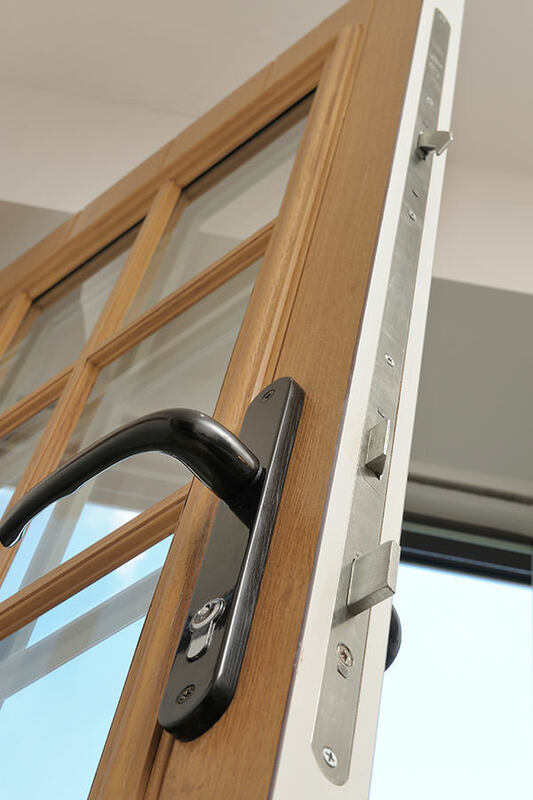 Depending on your requirements, you may be in the process of deciding whether uPVC or solid stable doors are best for your Chigwell home. Both products will provide you with similar benefits – most especially from a design perspective, as your doors will comprise of two independently operated panels that can be opened or closed simultaneously or alternately. 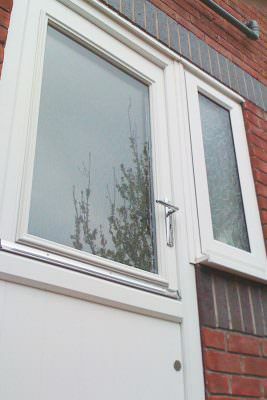 Solid composite doors are manufactured using multiple fibres – for example, uPVC and wood – that are compressed for extra strength and built around a timber core. 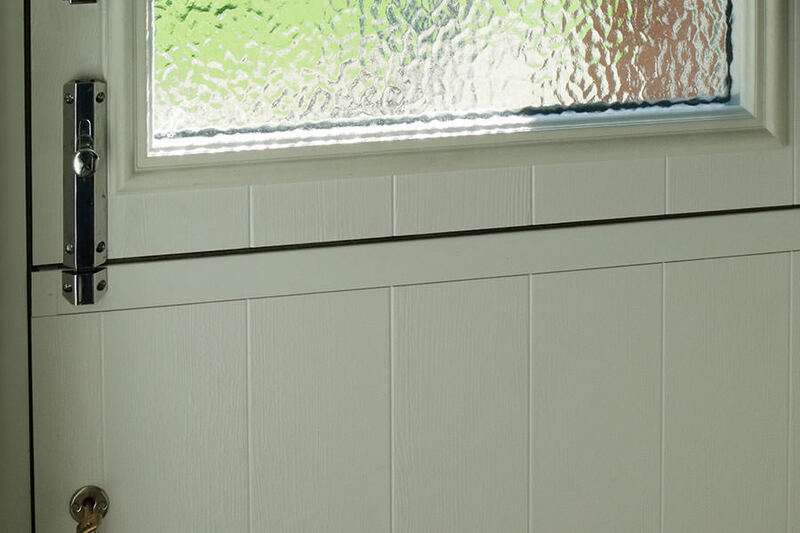 Contrastingly, uPVC stable doors are derived from a single source that will provide your home in Essex with enviable levels of security, superb ventilation and thermal efficiency that you can depend on. 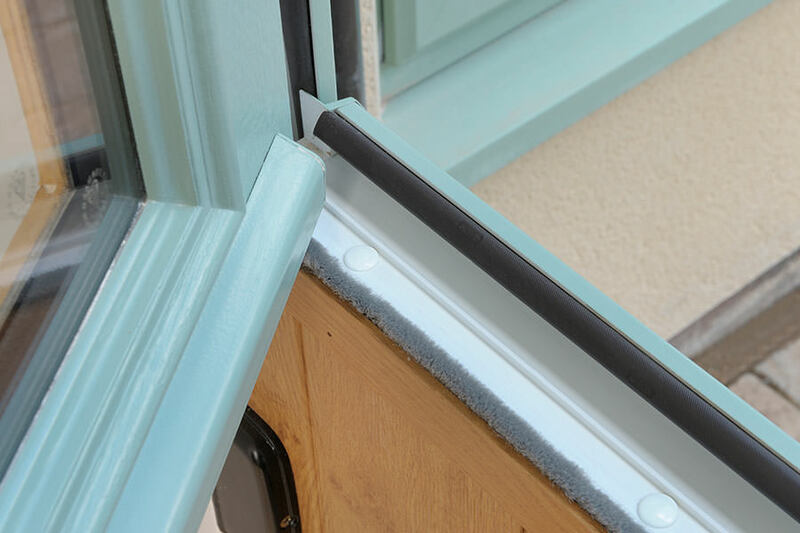 Our solid stable doors are built by Door-Stop: an industry leading manufacturer that is recognised for its range of fully-accredited and trustworthy products. 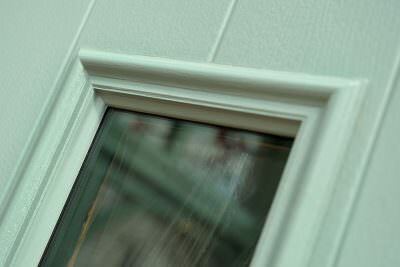 Our uPVC stable doors are made by the internationally recognised company Deceuninck. Whichever design of stable door you choose, you’ll be buying a valuable asset that’ll increase your home’s market value. Available in a wide range of finishes and styles that make them suitable to complement any style of property from new build structures to traditional country cottages, our stable doors introduce safety, character, and a welcome sense of charm to all. Their top panels will always open outwards with ease, and there’s always the option of integrating high-security hook bolt locking within the reinforced frame for an extra layer of security. 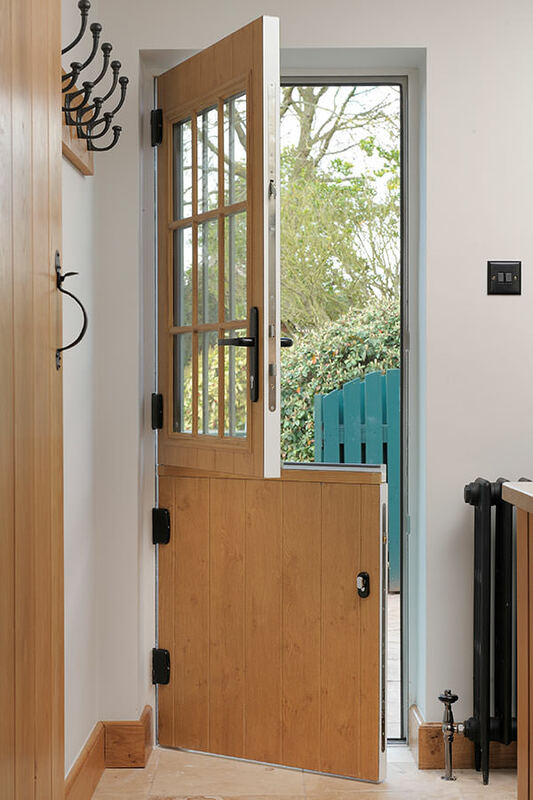 Stable doors never fail to act as an eye-catching centrepiece for any home, ideal for families concerned for the safety of youngsters or those that desire lashings of ventilation and light entry without the need to fully open up their home to the elements. Available in inward and outward opening styles, stable doors are a practical and stylish entrance door option. Although the design of the stable doors you choose for your Chigwell property will imbue it with plenty of natural character, you’ll be able to further customise their appearance by reviewing our extensive catalogue of colouring and foil options. 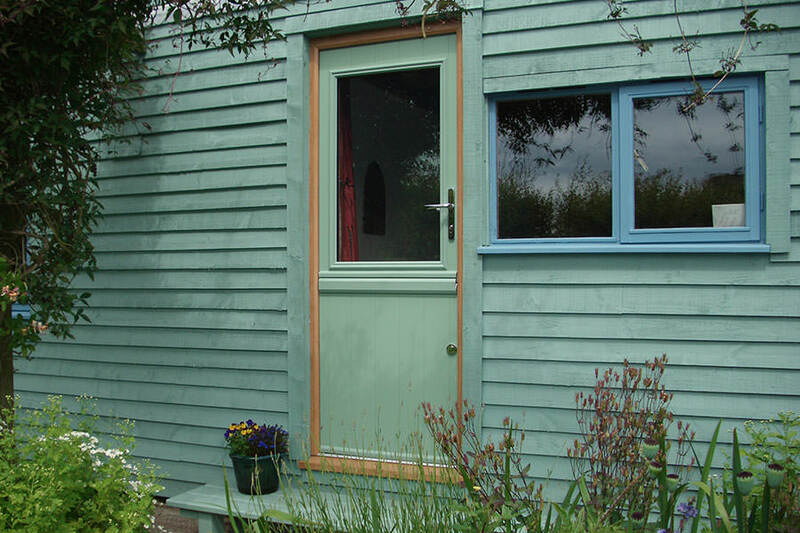 The stable doors we install will fully align with your design expectations and will be made-to-measure. If you are investigating stable door products as part of a home improvement project, you may want to speak to a member of our team about the exciting array of double glazed products we offer. We can answer any technical or price-related questions you have about windows, porches or roofs, so please contact us for help or use our quote tool to get free prices. 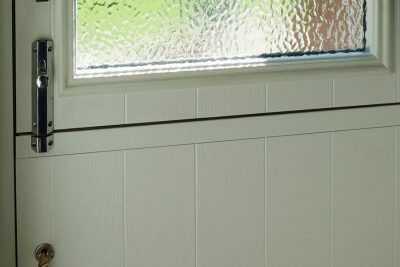 When selecting your stable doors, you’ll be able to review a range of glazing options to further fine-tune your design. If you would like to get some free prices, you can use our free quotation tool to tell us more about your design requirements. If you want to get free stable door prices by speaking to us directly, you can call our team on 020 8502 7560 or use our contact page to submit a call back request, in which case someone will get back to you as a matter of high priority.